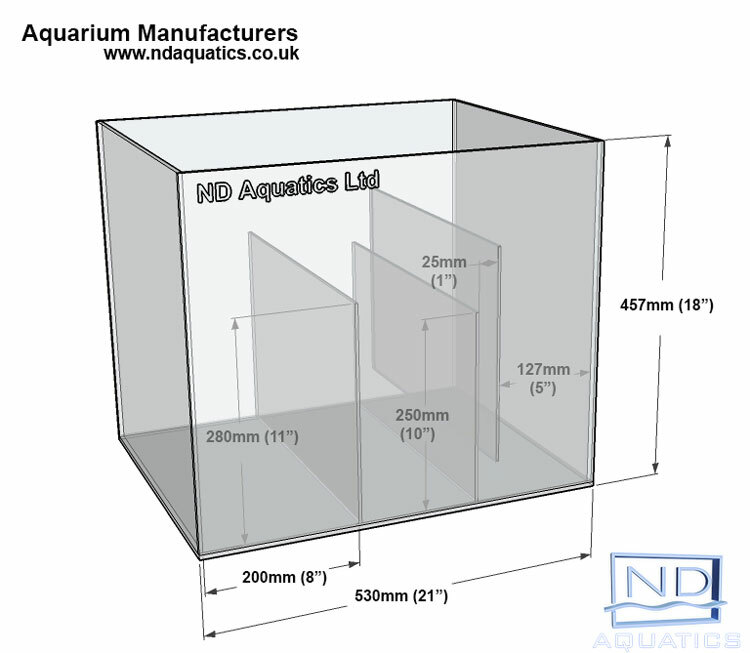 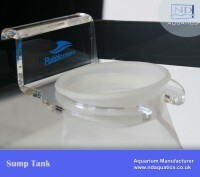 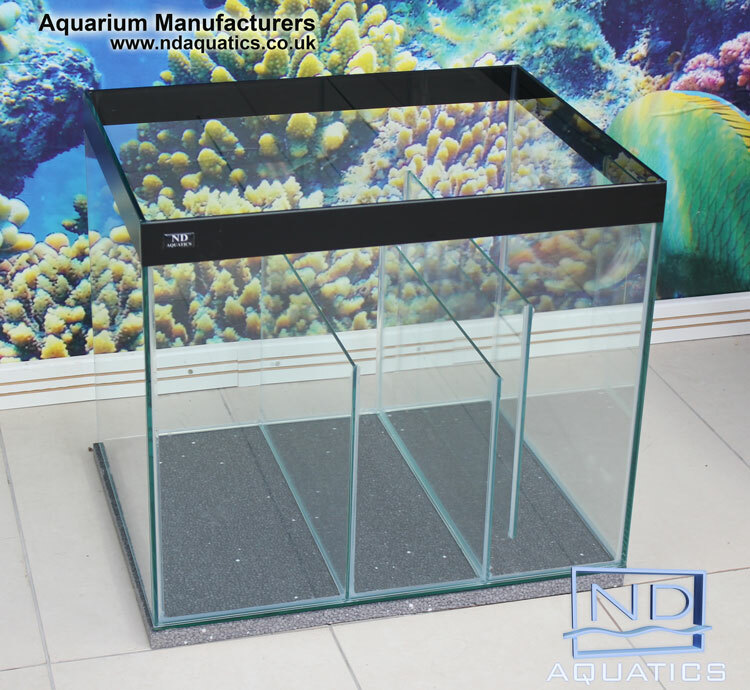 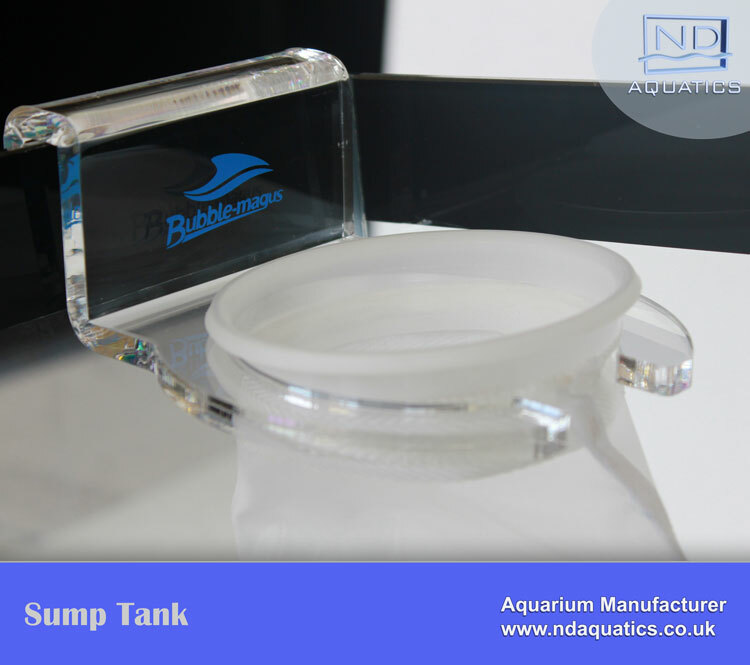 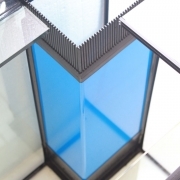 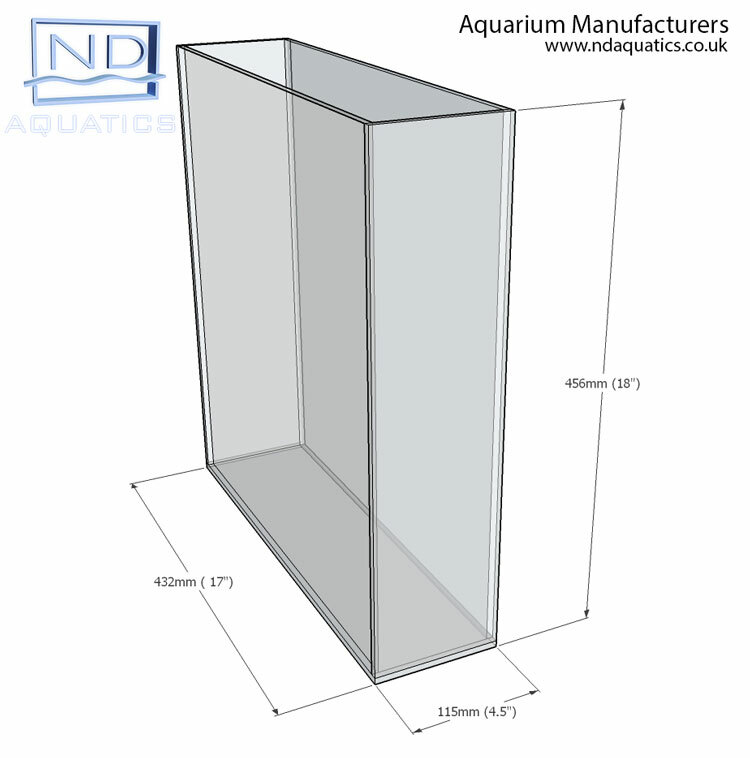 Sump Tank – clear silicone used as standard. 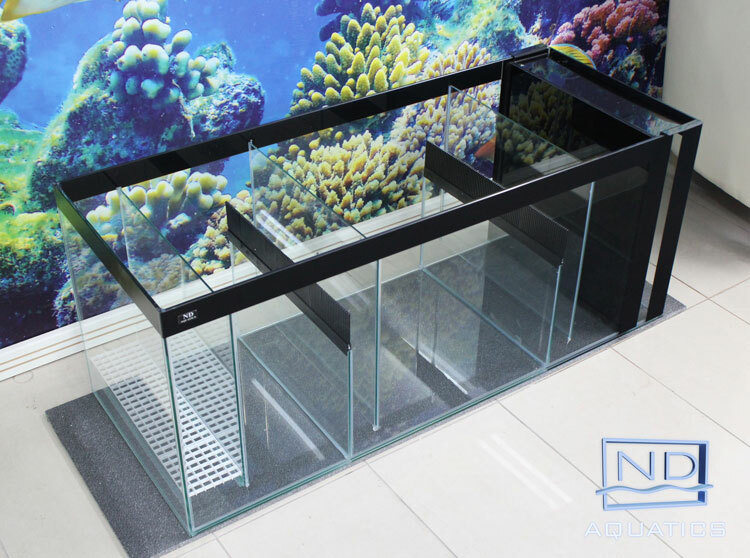 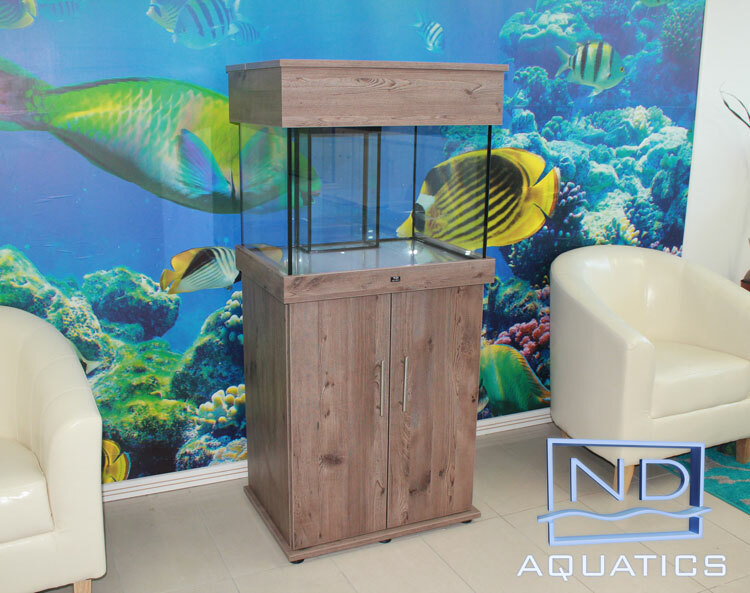 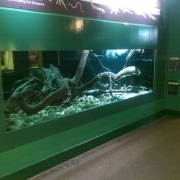 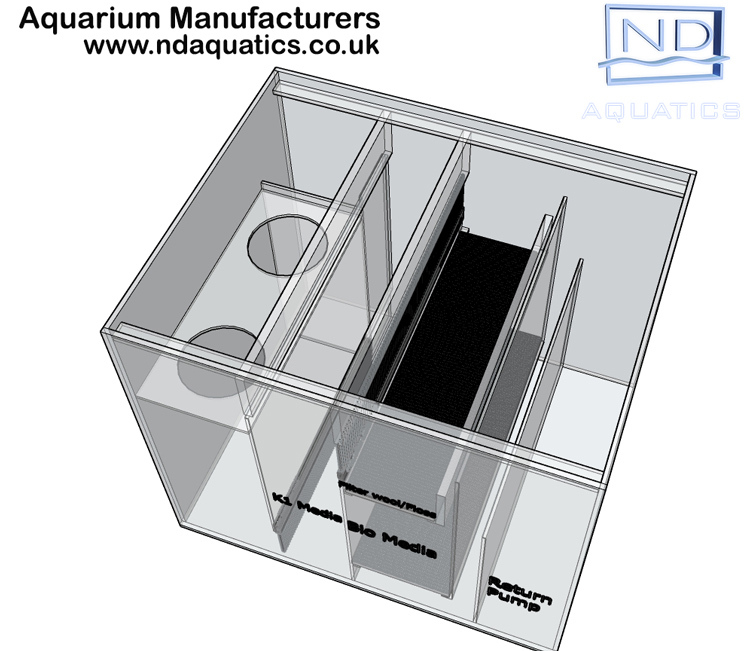 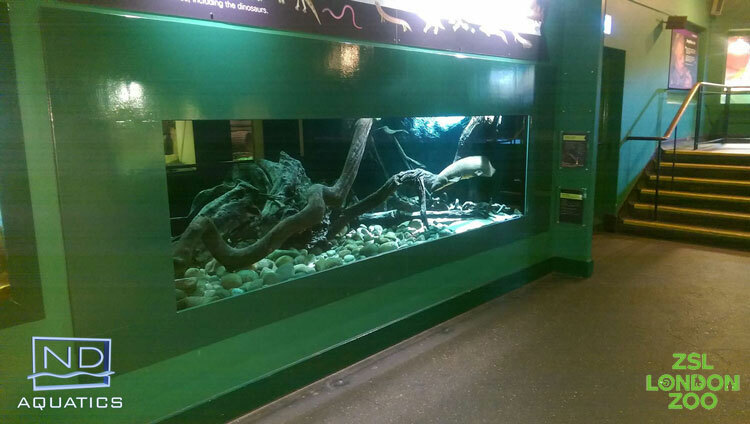 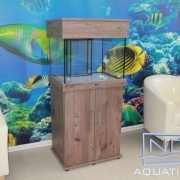 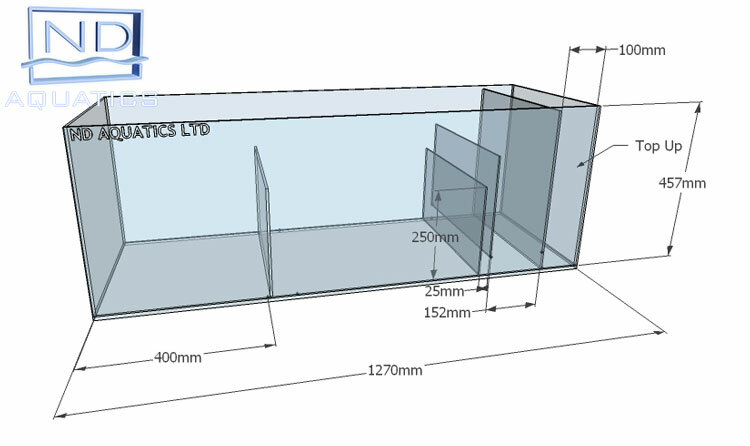 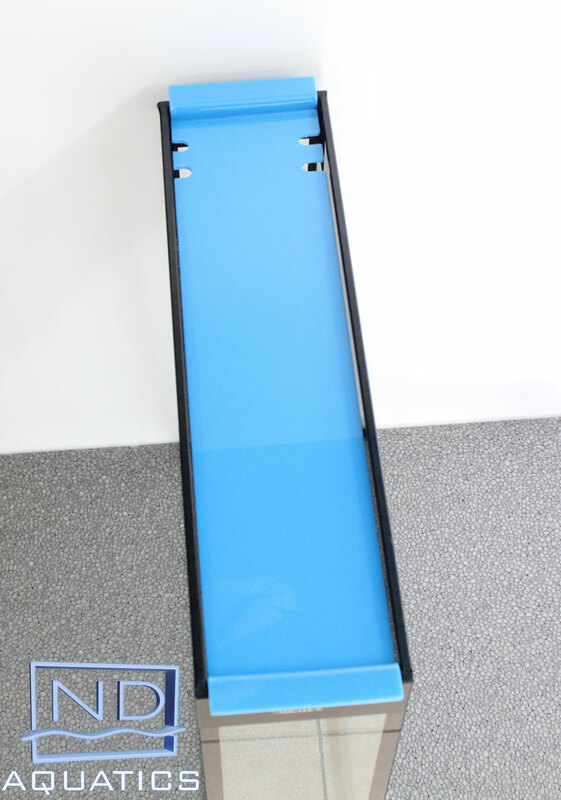 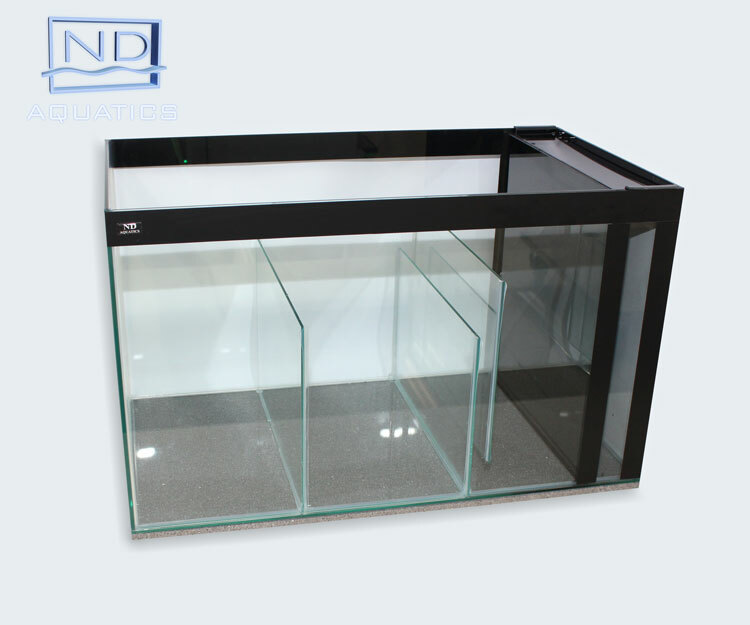 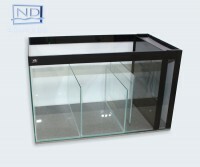 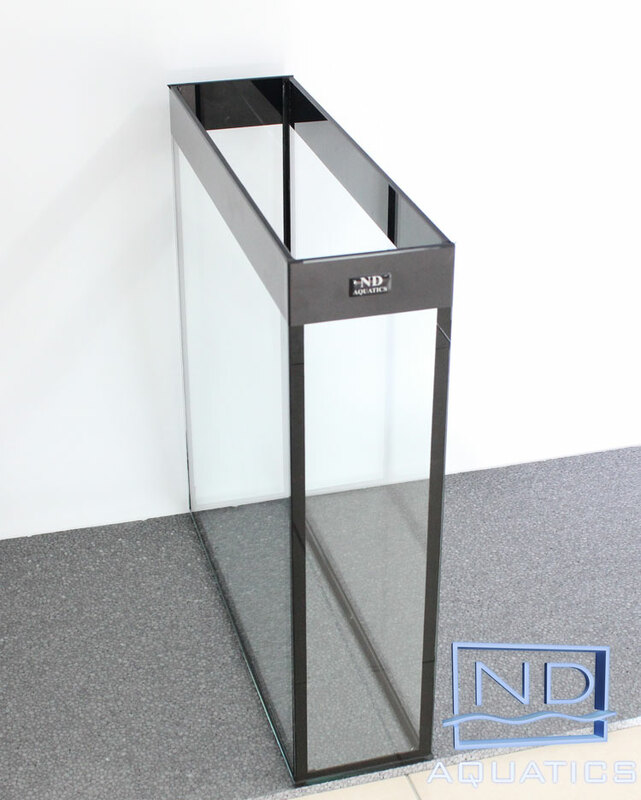 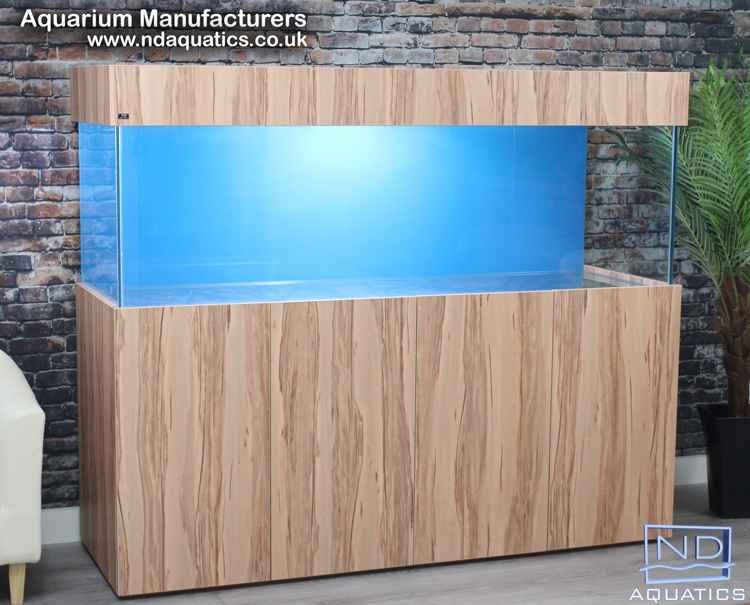 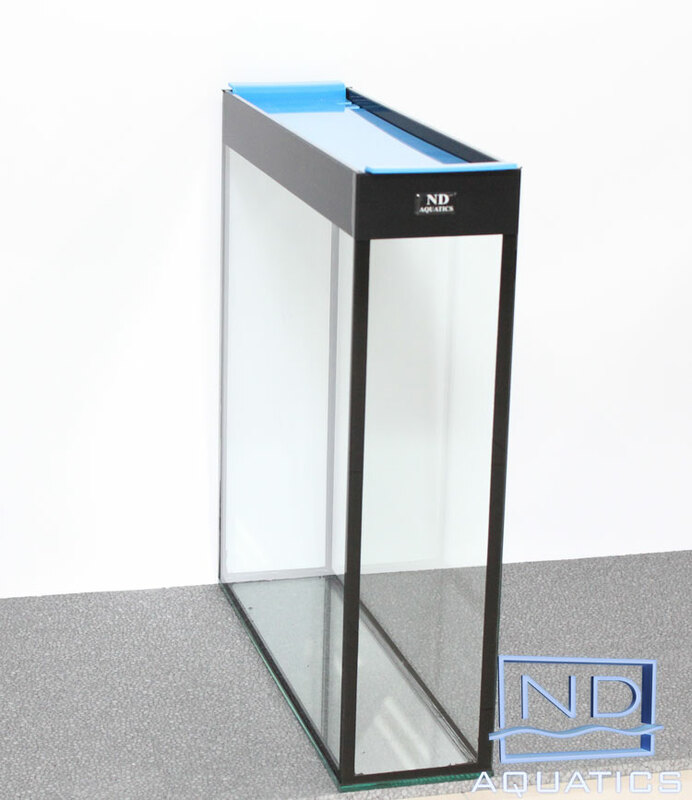 Our standard sump tanks come with 2 to 4 dividers but can be customized to suit individual requirements as we can work to any specification you may need. 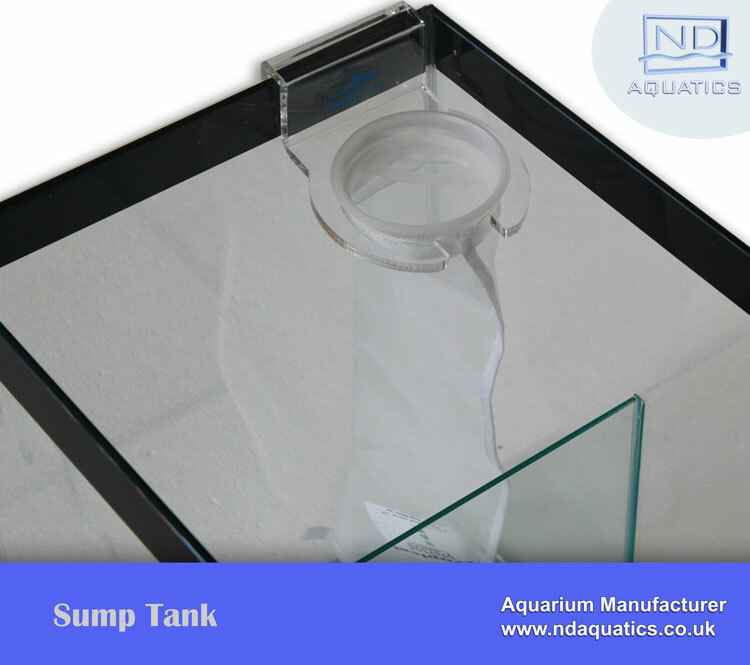 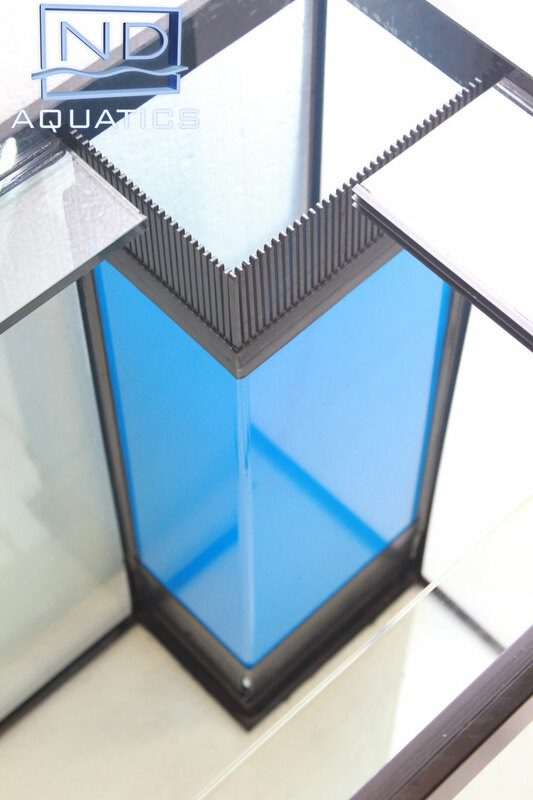 All of our standard sumps also come with a top-up section which is shielded from directly light by an acrylic covers to prevent any growths. 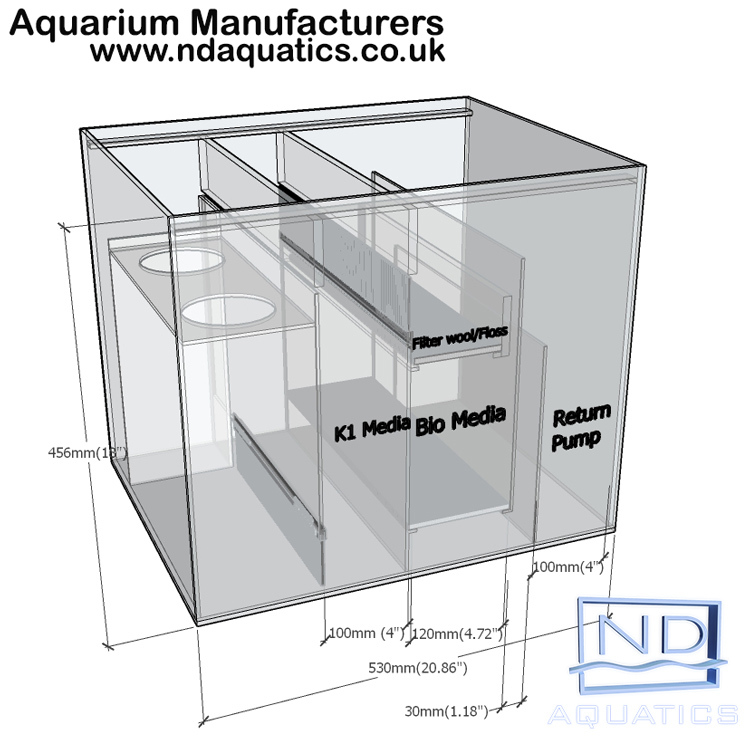 Standard layout is designed to accept most skimmers, filter socks and pumps, but please let us know your requirements when placing the order as we can alter the sizes of the sections and the layout if necessary. 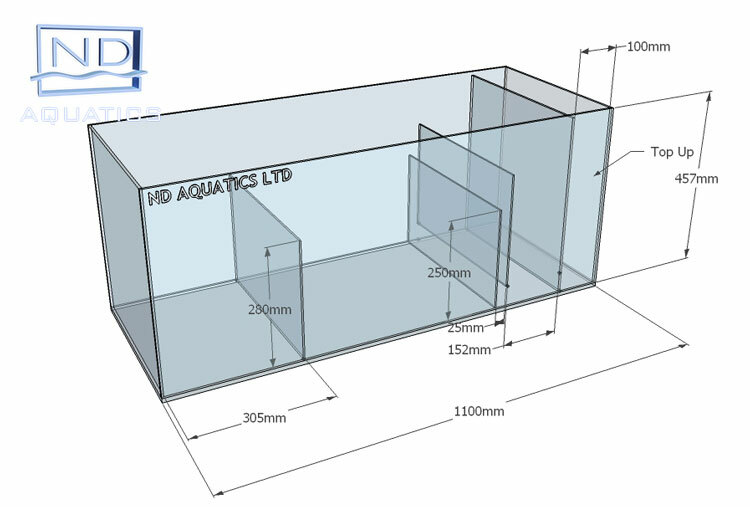 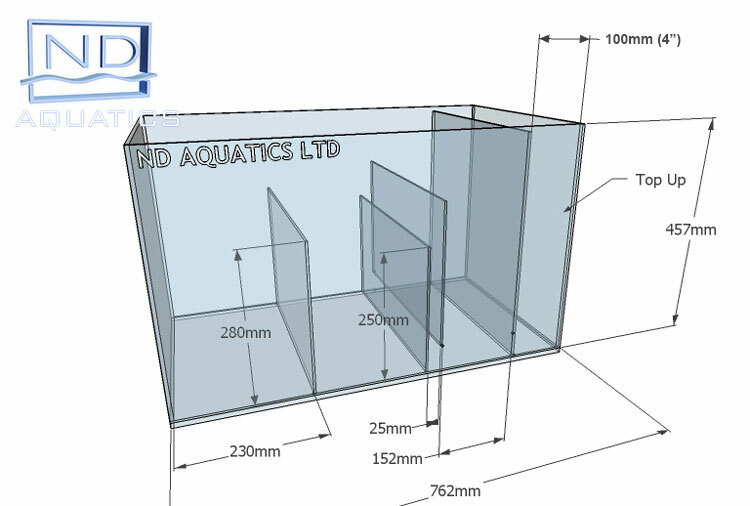 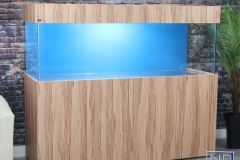 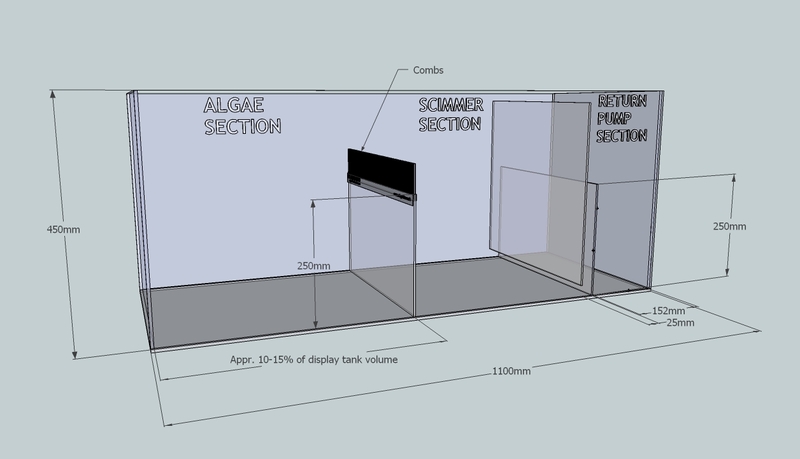 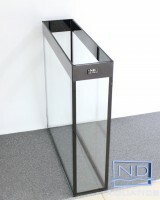 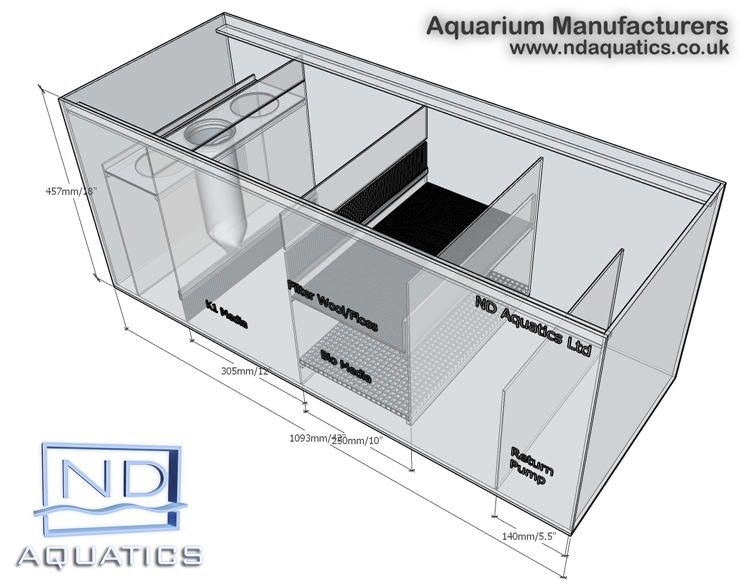 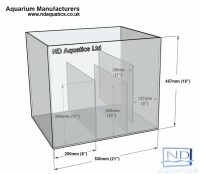 Bespoke sump tank prices available on request. 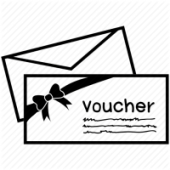 *Next day delivery via pallet courier, charges apply. Please call for more information. 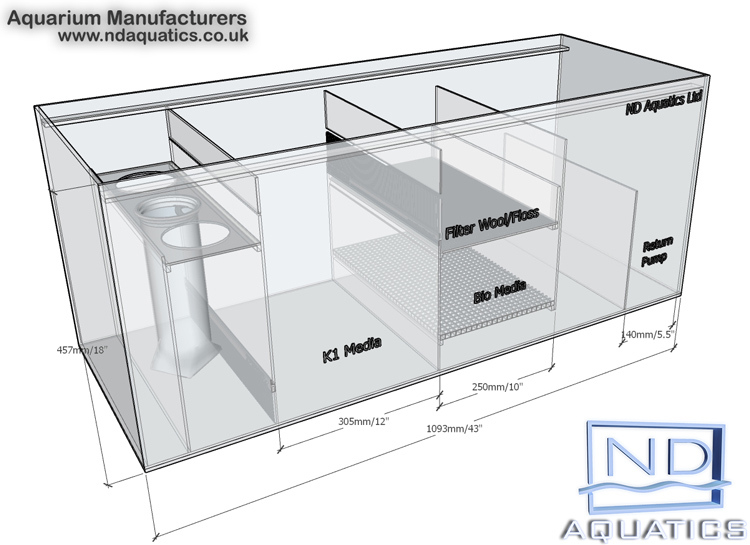 Filter socks/bags are not included. 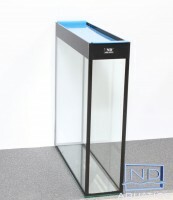 The following sump tanks are in stock right now and are available for next day dispatch* or collection. 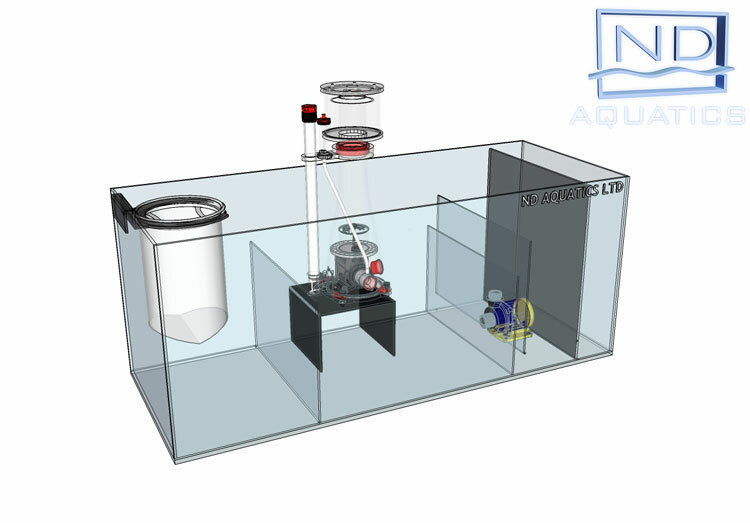 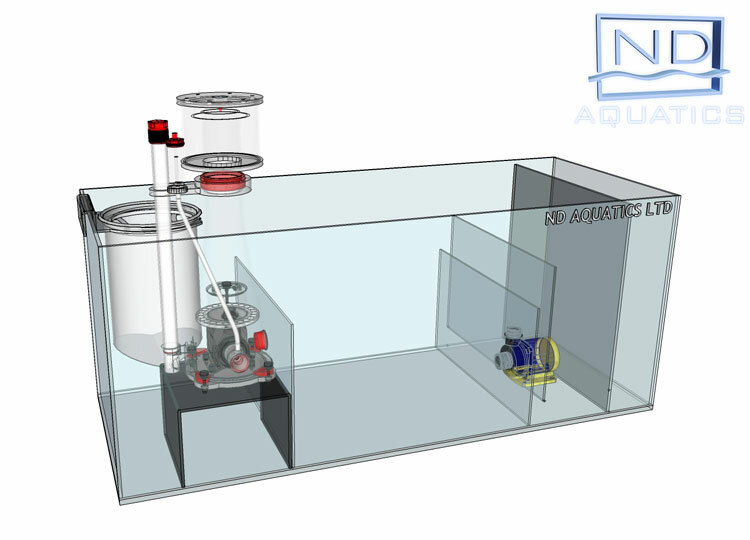 If you have decided to use Triton system you will be required to use the following sump design which adapted for Triton. This design is even recommend by creators of Triton. 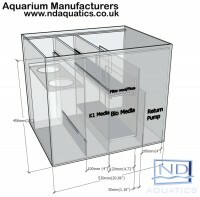 Prices are the same as standard sump tanks.